FREE Sample Aveda Invati 3-Step Hair Care System! 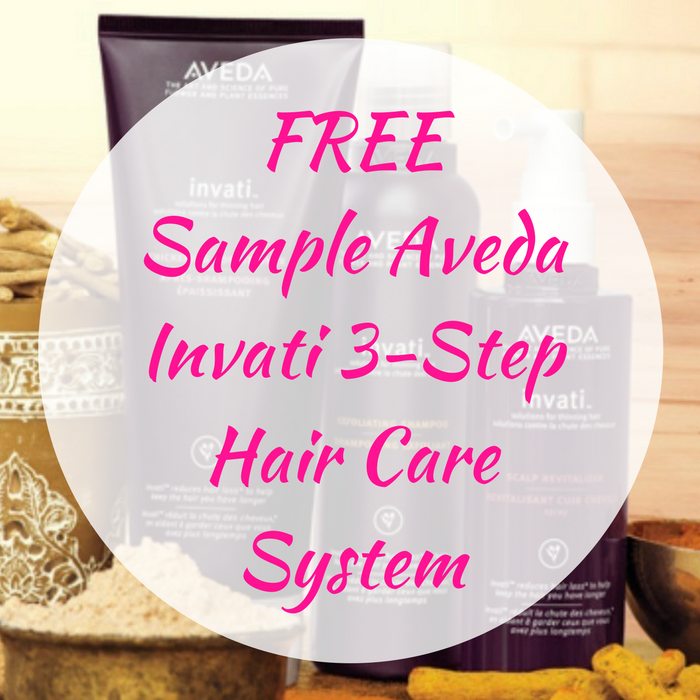 You are here: Home / FREEbies / FREE Sample Aveda Invati 3-Step Hair Care System! Until December 31 or while supplies last! Head over to participating Aveda stores to score a FREE Sample Of Aveda Invati 3-Step Hair Care System by just simply mentioning the offer – no purchase needed when picked up in-stores! Awesome! Find the nearest store HERE!